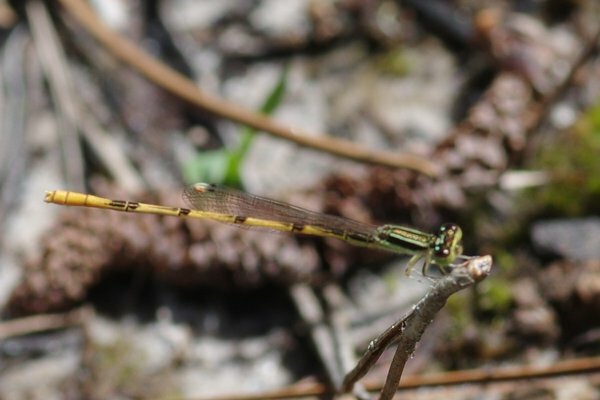 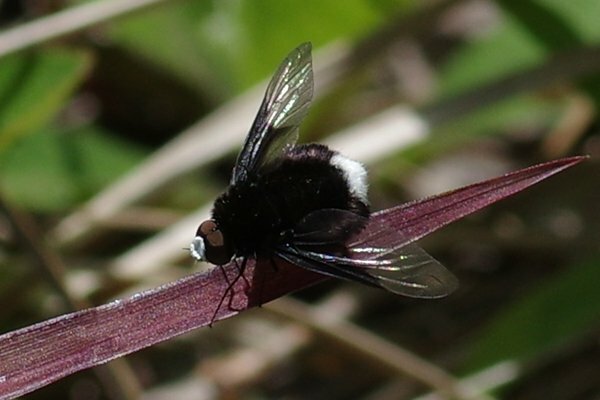 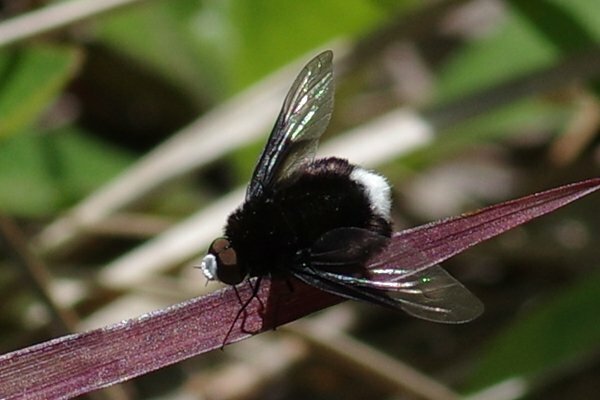 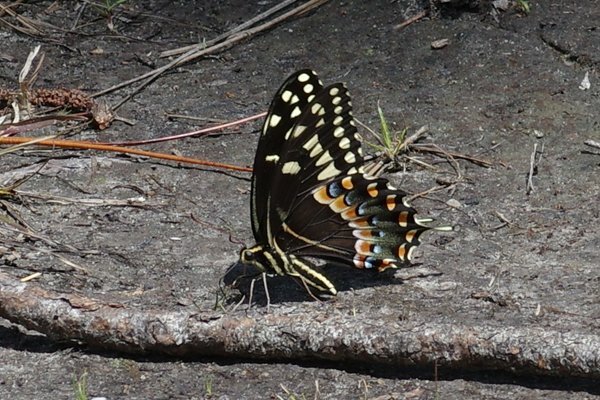 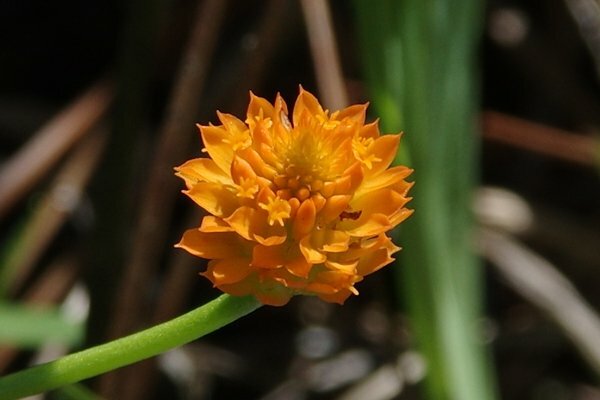 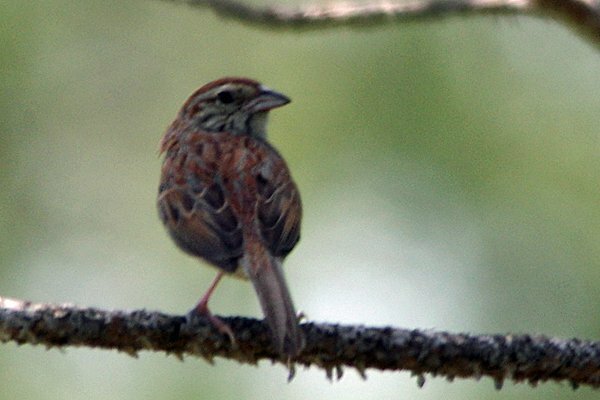 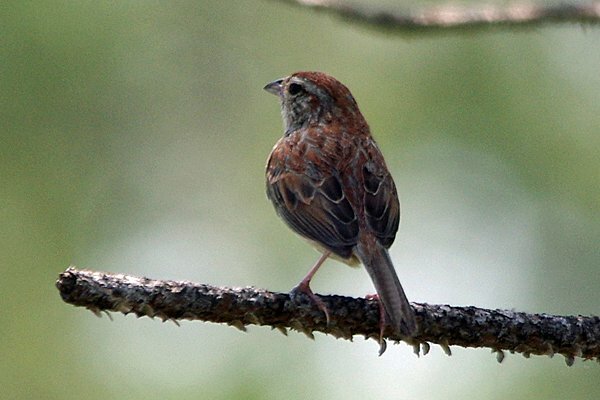 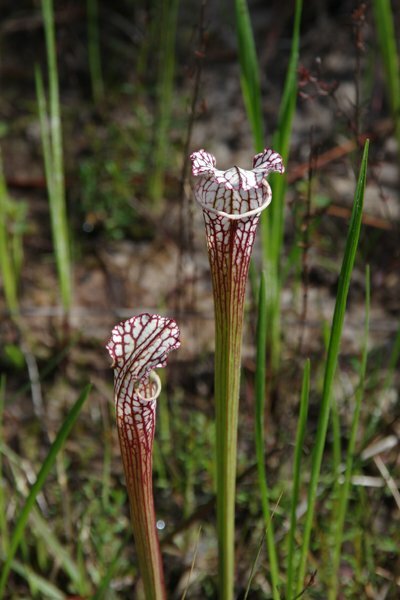 These are some of the photos that I took while Joyce and I were at Splinter Hill Bog Preserve in Alabama. 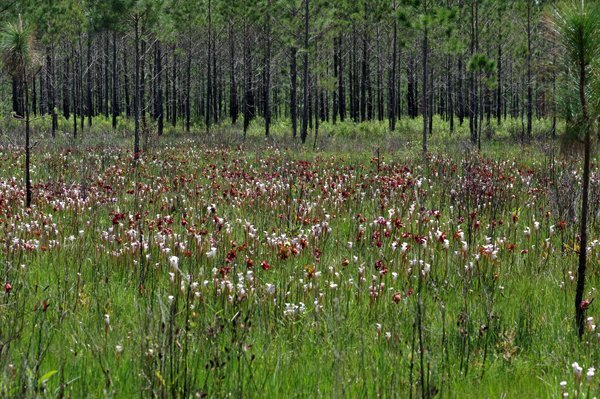 It contains several thousand acres and is owned by the Nature Conservancy. 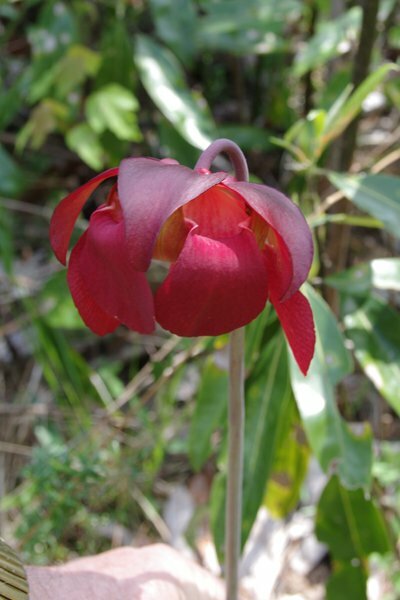 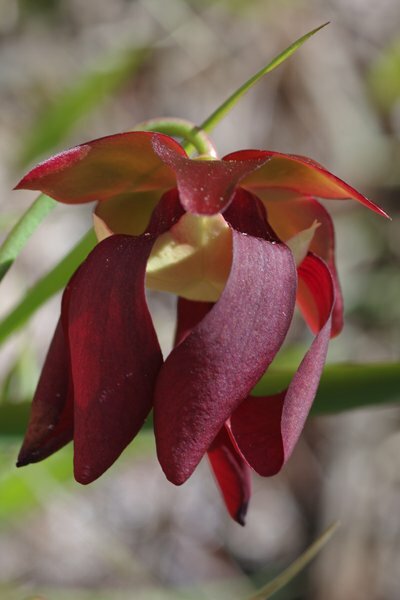 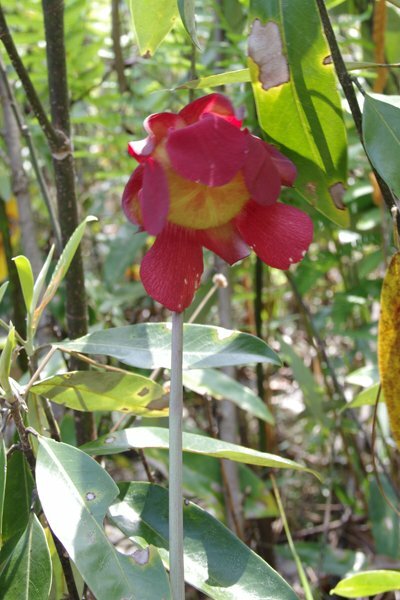 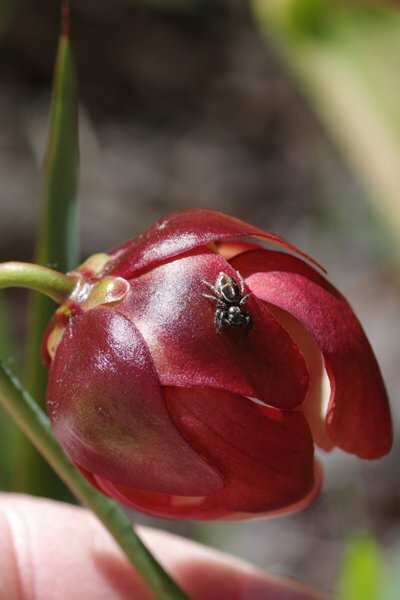 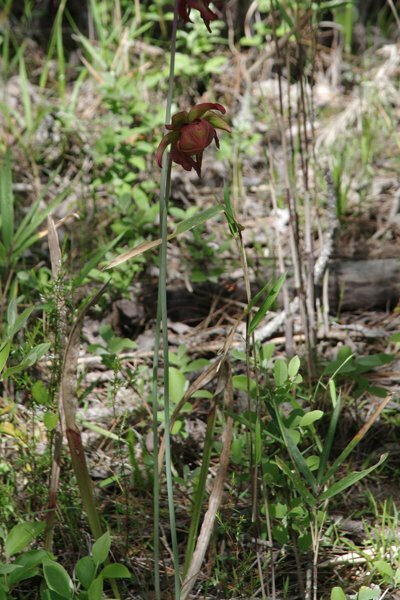 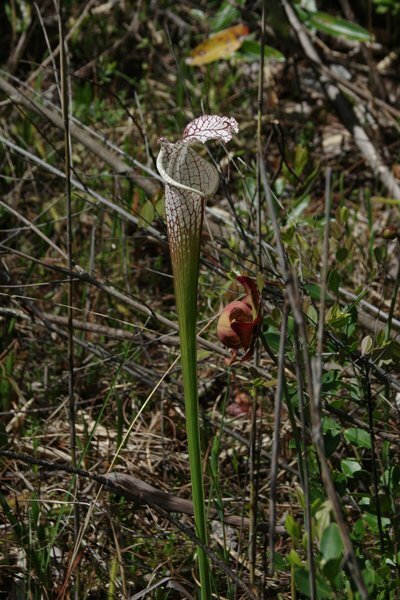 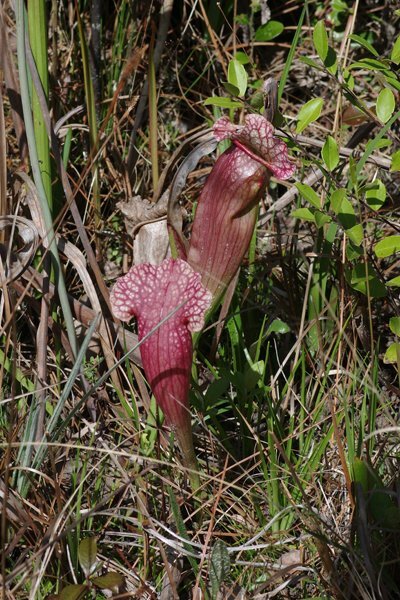 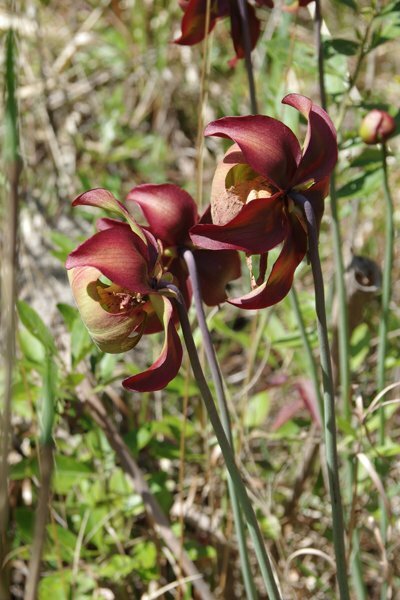 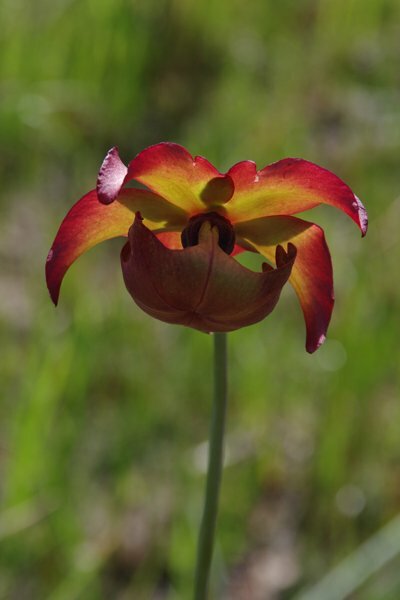 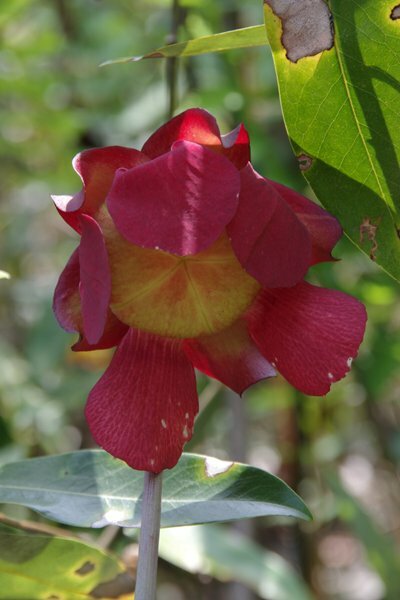 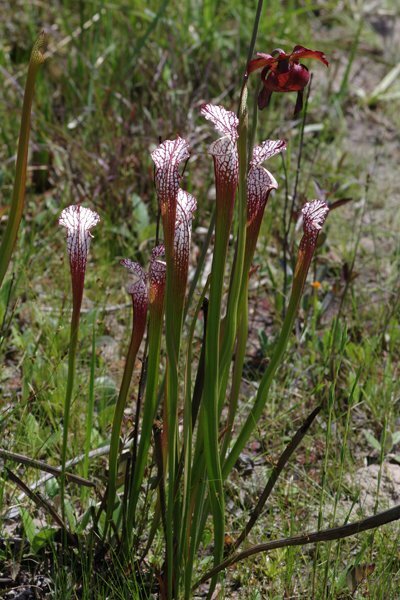 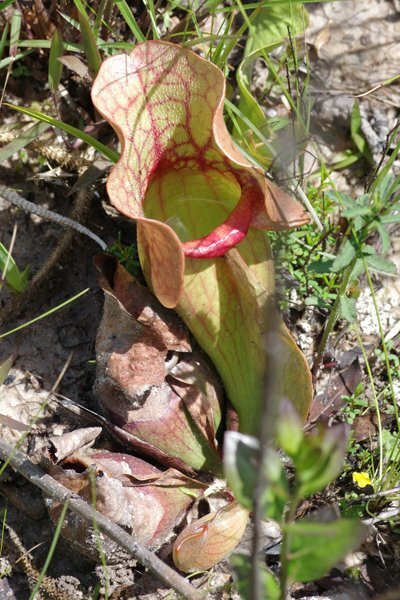 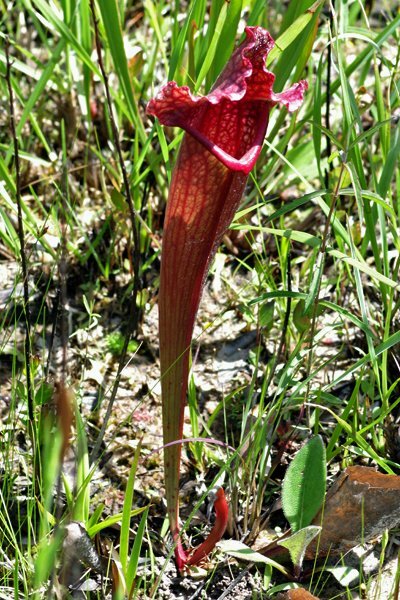 There were a lot of the pitcher plants blooming. 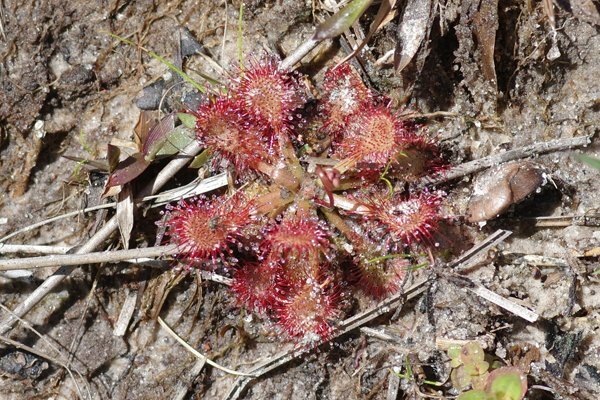 We also saw sundews which were blooming. 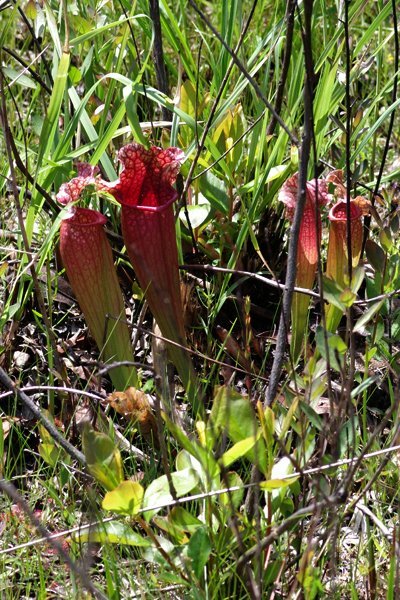 We had walked in quite a ways looking at the pitcher plants and watching for birds, when we decided to find the sundews. 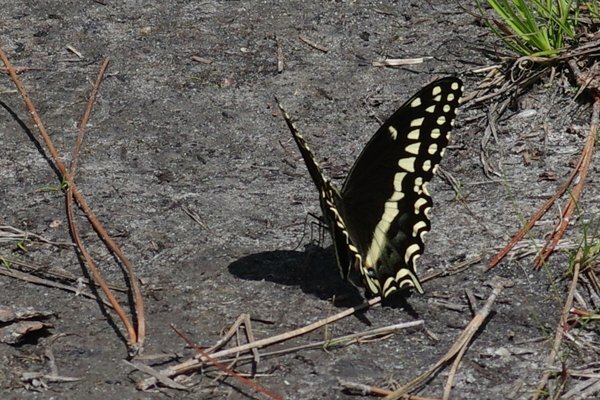 At first we could not see any, then we found one, then we figured out we had been walking by them for 200 yards. 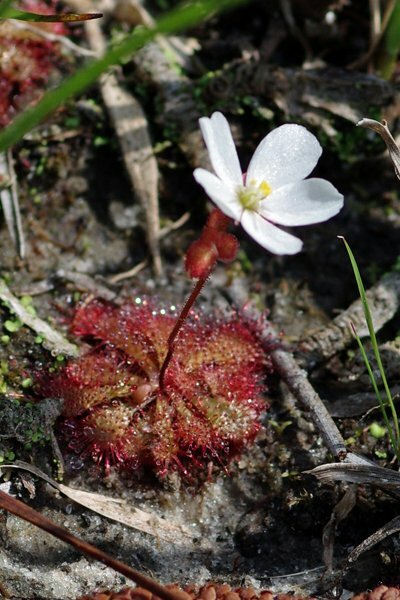 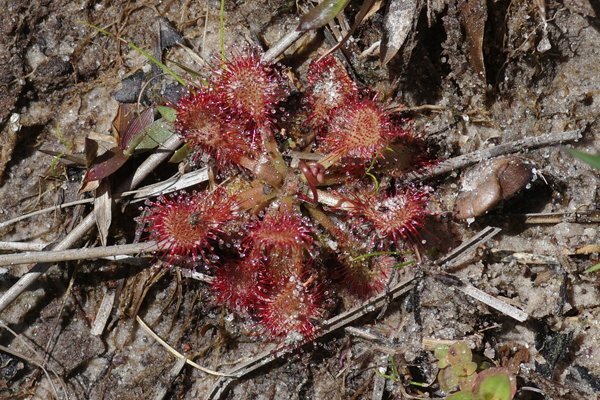 The sundews varied in size from less than a dime to a quarter.